In this article we discover the Best VPN for Windows by looking at some of the most well-known VPN providers and finding out which stands out from the crowd. Finding a good Windows VPN service is an increasingly difficult task and below we’ll look at 5 possible options. If you’ve got a Windows 7, 8, 8.1 or Windows 10 computer or tablet then protecting your privacy and introducing all of the other benefits a VPN can bring is essential in this day and age. Making the task as easy as possible is an important consideration and so custom Windows software is a must. Any quality VPN provider should offer a custom client and even if you’re not interested in using a custom client then you’ll certainly want a VPN provider that actively supports Windows and makes manual set-up as hassle free as possible. So let’s find out which is the Best VPN for Windows. IPVanish is the ideal choice for a VPN for Windows which makes them our number 1 recommendation. The best aspect of IPVanish is they have a custom Windows client which makes getting connected and securing your connection extremely easy. If you’re more of a do-it-yourself kind of person then configuration files for OpenVPN and set-up guides for the other VPN protocols are easily accessible on the IPVanish website. The custom Windows software allows you to select a server either in a list and sort by speed etc. 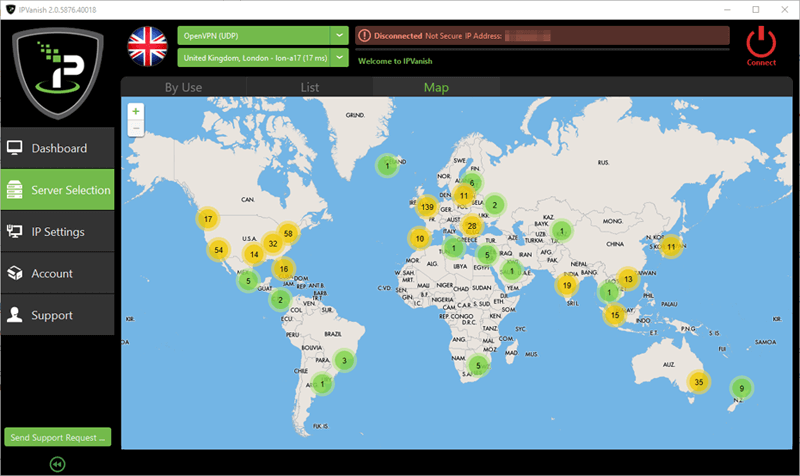 You can even select a server location by using a world map. With ease of use in mind IPVanish on Windows is certainly suitable for the beginner and expert alike. The software is suitable for both desktop and tablet Windows devices. IPVanish is a totally no-log VPN provider meaning they won’t store any information on what you access or what websites you visit. With 256-bit encryption your Windows device will be totally secure whether you’re at home, the office or mobile. Being the fastest VPN provider we’ve tested concludes why they’re our number one choice for Windows. ExpressVPN is a good choice for a VPN for Windows as their custom software is simple and compact. They’re slightly higher priced than IPVanish which is a little disappointing but they do offer the biggest range of countries allowing access to over 78. We like the fact that ExpressVPN is registered in the British Virgin Islands that puts them outside the Five Eyes countries that other VPN providers are often registered in. If you take your privacy seriously and want to stay away from the NSA & GCHQ then this is a great feature. ExpressVPN has a massive 30-day money back guarantee which is one of our favorite features allowing you to test the service across your Windows devices for nearly a month and if you’re unhappy with the service then you can get your money back. The Windows client allows you to connect via OpenVPN (TCP/UDP), PPTP, L2TP/IPSec and SSTP. StrongVPN is one of the oldest VPN providers around and well recommended throughout the privacy industry. Their pricing is simple and they’re also one of the cheapest at just $5.83 /mo when taking an annual package. They do have a lesser choice of servers to connect to which we weren’t that impressed with but the price of their service and speed more than made up for the lack of choice. The Windows software is easy to use and while not as intuitive as the Window software from IPVanish it is suitable for all abilities. As the name suggests StrongVPN has up to 2048-bit handshaking encryption making them a good choice if you’re concerned about your online Windows privacy. VyprVPN is a company that cares about online security and their Windows offering is by no means an afterthought. Their Windows client is extremely attractive and simple to use. Just one click gets you connected and secure and another allows you to choose a server from over 50 countries. Their Windows software has some well thought out options like a killswitch and the ability to automatically connect on unknown wi-fi keeping you safe whilst in that coffee shop or other public location. VyprVPN is a little expensive so to take advantage of their service you’re going to have to be prepared to pay over the odds for a comparable service which is one of the biggest negatives. All the standard encryption modes are available plus a custom mode called Chameleon that masks the OpenVPN metadata and is ideal for use in countries like China and Iran. HideMyAss are probably the most well-known and customer friendly VPN providers. They’ve supported Windows systems for a long time. Although their Windows client isn’t the most visually appealing it does allow you to connect to well over 190 different countries around the world and secure your connection. OpenVPN and PPTP modes are available in their Windows client and if you want to access L2TP/IPSec then the HideMyAss website can guide you through manual set-up. We like the fact that leading anti-virus firm AVG recently bought out the HideMyAss brand putting a huge financial backing behind the service with the added security expertise AVG will bring. HideMyAss have been in the industry for over 10-years and aren’t going anywhere fast. We didn’t find them the fastest but they provide a robust VPN service suitable for Windows. There is a great deal of choices when it comes to Windows VPN providers and most good services these days provide custom software to make connection effortless. Above we’ve highlighted five of the best VPN services for Windows not only based on their outstanding support for Windows systems but also due to the quality of the VPN services themselves in areas such as speed, reliability and support. Overall we recommend IPVanish as our Best VPN for Windows. 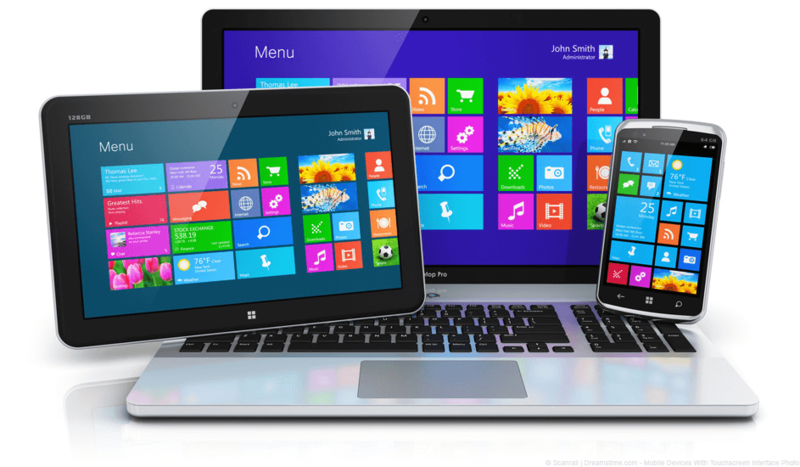 All five providers work with Windows 10 and also support older editions of Windows such as 7, 8 and 8.1. If you want to recap on the Best VPN for Windows options check below but we would also love to hear your own experiences and feedback if you’ve used one of the providers above or if you have another recommendation. Feel free to drop us your hints and tips in the comments section.